Alexander Girard's "New Look Gate," with Herman Miller seating. 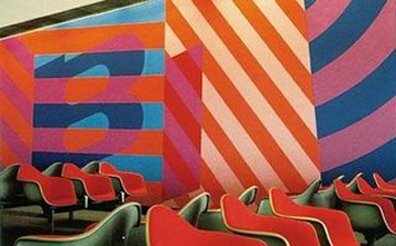 Designed for the Braniff International Airlines passenger lounge at Love Field in Dallas, Texas. 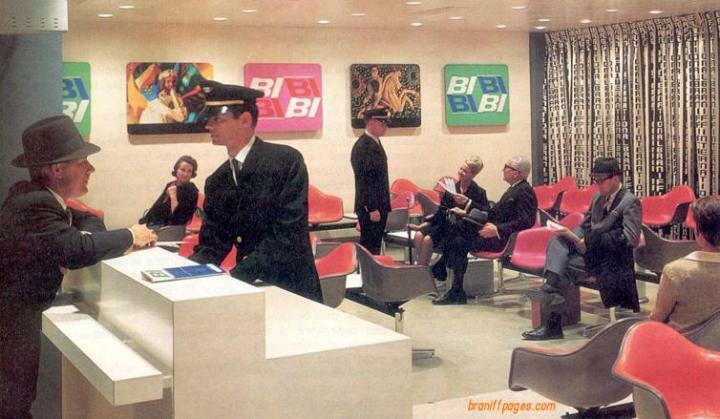 In this day and age with stuffy economy flights and stressful security checks, it’s hard to believe Braniff could have ever existed. 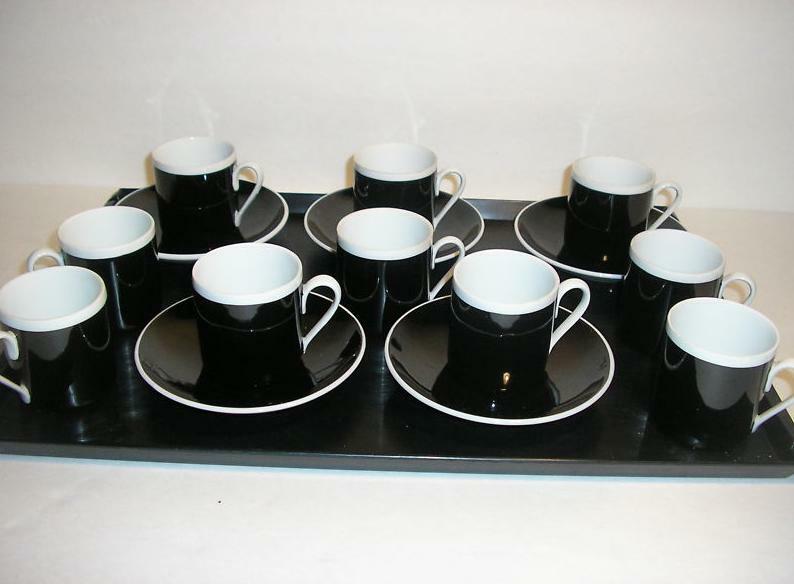 Designed by Alexander Girard, this lovely set features the BI logo engraved on the bottom of each saucer. Everything here, $29. 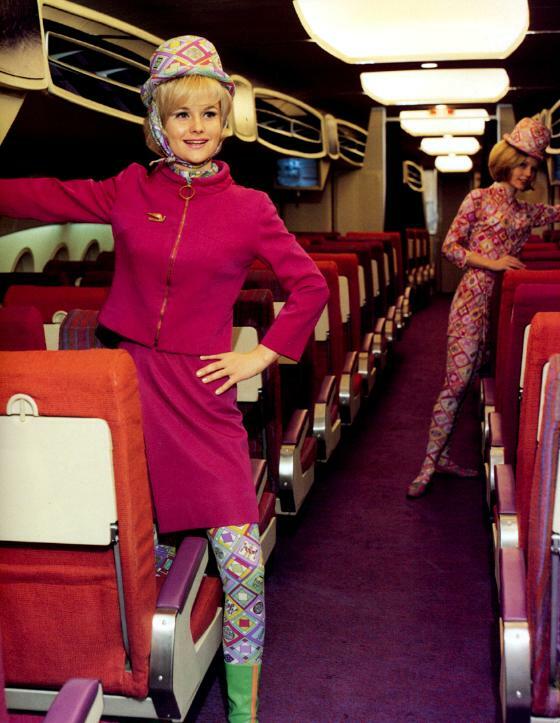 For $3.99 you can own a piece of the Pucci-clad Braniff stewardesses in your home. For dramatic effect, consider framing this 5″ x 7″ print in a much larger frame with a floating white mat. They don’t make playing cards like these anymore. 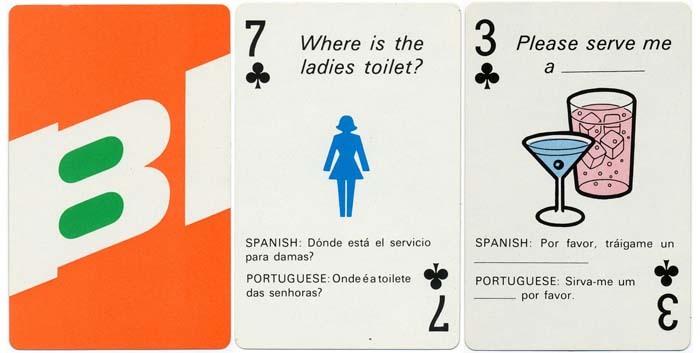 Designed by Alexander Girard with tons of adorable phrases and translations, the BI cards are a real treat for the card game and graphic design aficionado. 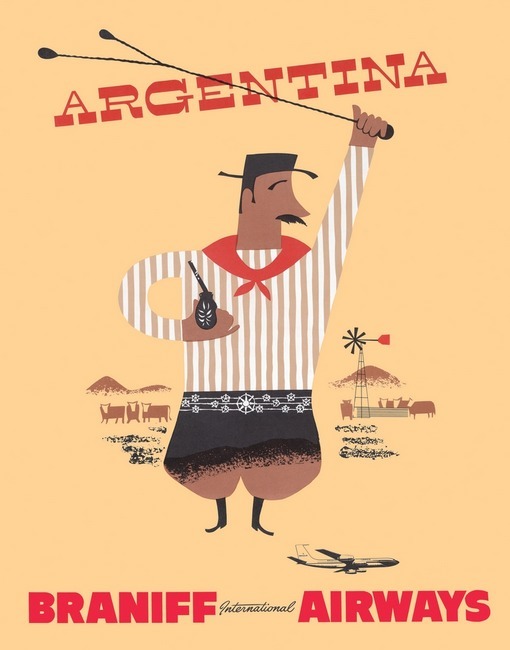 Just one of many travel posters advertising BI, nicely sized and priced. 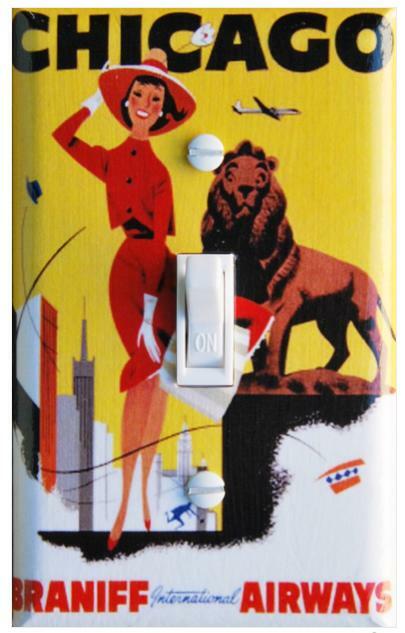 A kitschy handmade switchplate on etsy features one of Braniff’s promotional designs, pretty cute if you ask me.